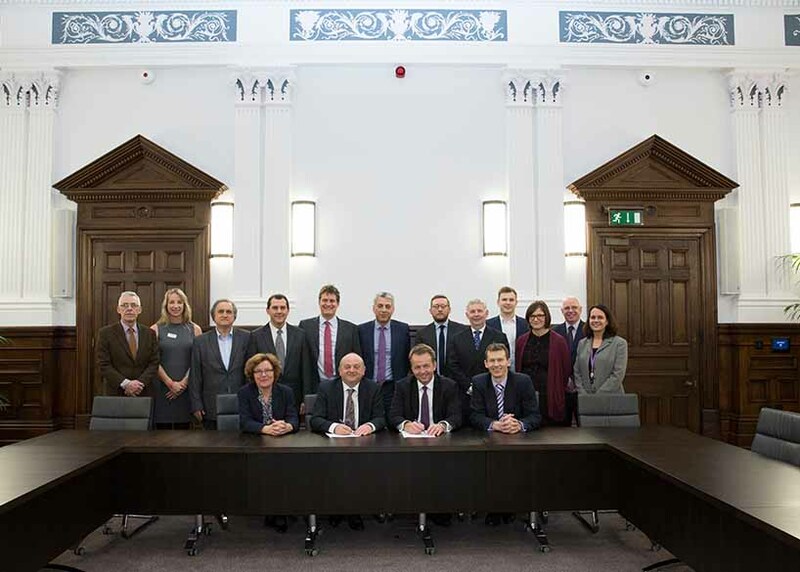 Global infrastructure services firm AECOM and Nottingham Trent University have today launched a new partnership agreement focused on innovation, with the aim of developing new products, processes and services for the industrial sector. The organisations will jointly pursue research and development opportunities in areas that could include offsite manufacture and the prefabrication of production facilities, “smart factories”, and energy and water use in production processes. AECOM and NTU will look to create new business opportunities from their research and development outcomes, including the registration of Intellectual Property. With research aligned to industry needs, the partnership will focus on innovations that will help drive forward the UK’s industrial agenda. The long-term goal is to jointly bring new products, processes and services to market. Under the new partnership, AECOM and NTU will also collaborate on other key areas of activity, including teaching and learning, placements and employment. AECOM will work with NTU’s School of Architecture, Design and Built Environment to develop new curriculum content that is attractive to industry and tailored towards accreditations with professional bodies. AECOM employees will also participate in teaching and mentoring to provide students with a practical view of current industry thinking. AECOM has a large office in Nottingham and will offer work placements to NTU students. It will also actively promote opportunities for higher level apprenticeships and graduate recruitment to NTU’s undergraduate and graduate students. The AECOM and NTU partnership will focus research on innovations that will be of true benefit to the sector. The partnership was signed by Mr Thiesen and Prof Peck at a ceremony at NTU, which was attended by representatives from both organisations. The partnership follows AECOM’s announcement earlier this year that it has signed a research partnership with the University of Salford aimed at improving understanding of how major infrastructure programmes interact with the natural environment.